Earlier this week I traveled to Beaumont to attend the Southeast Texas Nonprofit Summit. Hosted by OneStar Foundation and the Southeast Texas Nonprofit Development Center, the Summit brought together industry leaders, business executives, government officials, nonprofit organizations, volunteers and other interested Southeast Texans for a full day of networking, professional and personal growth, and seminars all in an effort to find ways to work together to solve problems and strengthen communities. The day featured a packed schedule of inspiring keynote speakers – Scott McClelland, President of H-E-B Food/Drug and Beth Krueger, Director of Austin Gives – as well as breakout sessions on topics ranging from Successful Grant Proposals, to Exceptional Volunteer Engagement, to Strategic Nonprofit Alliances. The aim of the summit was to provide attendees with the opportunity to find new inspiration, master new skills, and make new connections. 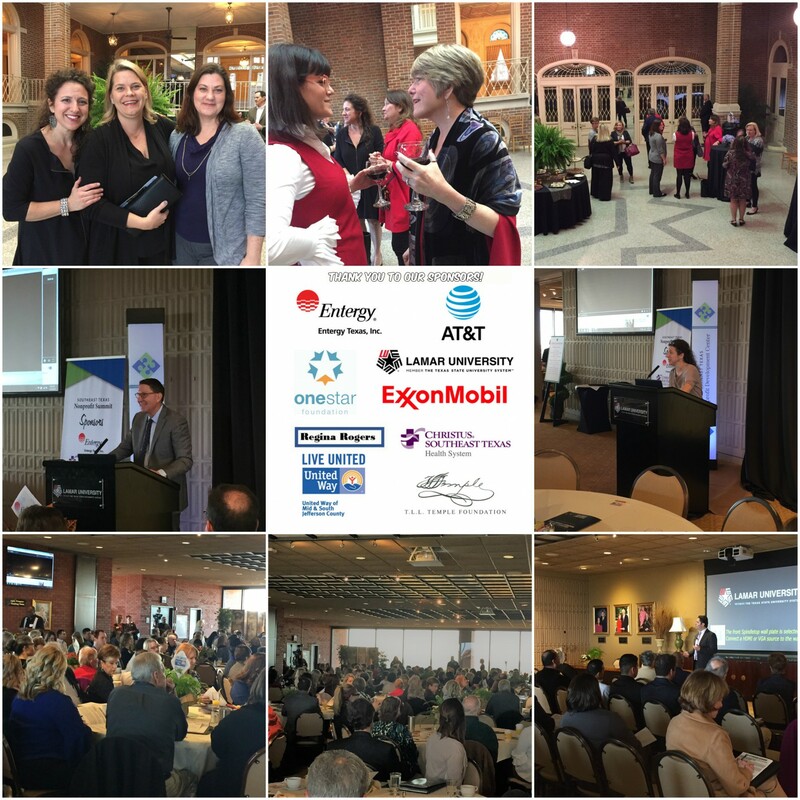 The Southeast Texas Nonprofit Summit was the third and final summit in the 2017 Texas Nonprofit Summit Series, co-hosted by OneStar Foundation and local partners. The three summits were held in Wichita Falls in October, Lufkin in October, and Beaumont in January 2018. To learn more about the Summit Series, visit http://texasnonprofitsummit.org/. I want to thank everyone who attended and participated in the Southeast Texas Nonprofit Summit. Never before have I seen so many Texans making a difference, and I was so encouraged by those I met who are eager to find ways to work together for the betterment of our communities.